Today Dance Informa is thrilled to announce four more winners of the Joffrey Ballet School Summer Intensive Giveaway! Congratulations to Las Vegas-based dancer McKenna Meeks, Canadian dancer Nia Lindsay, Mariya Popova of New Jersey and Illinois-based dancer Danielle Fattore. These four applicants have all won scholarships to the 2016 Joffrey Ballet School Summer Intensive of their choice! 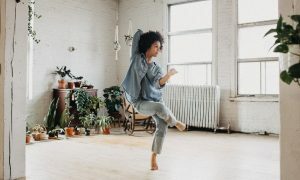 In November, Dance Informa, in partnership with the Joffrey Ballet School in New York City, launched the exciting Summer Scholarship Contest. Running through this spring, Dance Informa is awarding 25 two-week Summer Scholarships – totaling more than a quarter million dollars! Each scholarship covers tuition for a two-week intensive of their choice, plus housing and meals! Each winner submitted a two-minute video for a chance to win. See two videos below! To learn more about this thrilling opportunity and to learn how to enter the contest, read the article in the Dance Informa U.S. Magazine December Edition. In addition to the summer scholarships, one talented dancer will also be receiving a paid Apprentice position in the Joffrey Ballet Concert Group (JBS Touring Company) for one year! Enter now at www.danceinforma.us/ballet-scholarships. As the sole news provider for the Joffrey Ballet School, Dance Informa is delighted to partner with this extraordinary organization in this special way. 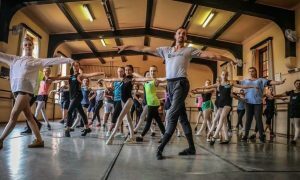 Originally founded in 1953 by Robert Joffrey and Gerald Arpino, the school develops and trains professional dancers, having produced over 5,000 working dancers in the last 63 years. For more information on the Joffrey Ballet School, visit www.joffreyballetschool.com. Photo (top): Josie Walsh demonstrating at the Joffrey Ballet School San Francisco Summer Intensive in 2014. Photo by Jody Q. Kasch.